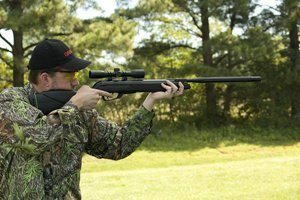 Gamo is one of the top air rifle manufacturing companies trusted by millions worldwide and one of its latest designs is the raptor whisper air rifle. For this Gamo raptor air rifle review, we are going to provide you an in-depth analysis about the various aspects of this outstanding rifle. Here is a quick recap on what we think of this rifle. Gamo Raptor Whisper air rifle has been designed with the latest Whisper® technology that minimizes noise when you shoot, making it perfect for hunting and target shooting. It is tailored to suit your personal taste and preference that will fully cater to your needs. It is also highly reliable and versatile. The rifle has a sturdy and solid build made of the best quality components that are durable. The new Raptor air rifle has many new features than its predecessors. It is lightweight with a durable non-slip grip and also has a single coking system that has a brand new SAT (Smooth Action Trigger) and a Shock Wave Absorber with a recoil pad for one hell of shooting experience. This rifle is user-friendly and lightweight, giving the user easy movement and maneuverability especially when hunting in difficult terrain. This unit is one of the first air rifles to use noise reducing technology. The whisper is a combination of noise and muzzle blast reducer fitted into a barrel as a single part. This new piston is a replacement of the of the spring producing a high velocity with minimal vibration and more power for smooth and easy cocking. 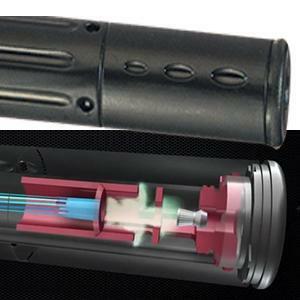 It provides a perfect action pull increasing the accuracy and preciseness of your target. The rifle has a rubberized anti-slip grip for optimized and robust grip while shooting. The whisper rifle is made of the latest technology; it has a rifled steel barrel fluted with polymer. It has adjustable shock absorbers that have 3 removable absorption cells that have a recoil absorption rate of 74%. The rifle is designed with an automatic cocking safety capabilities with a manual safety trigger. At the time of purchase it comes with a 1-year warranty. With the high terminal velocity and consistent power with its high magnification on its adjustable varying scope makes hunting, target practice an unforgettable and enjoyable experience. This gun is really quiet when in operation thanks to its Whisper technology which is perfect for catching the prey without their awareness. Shooting and cocking is a piece of cake! All thanks to its (IGT), there is no fatigue or torque. It also has a synthetic all-weather stock making it perfect for shooting in different types of weather while producing the same stellar and high performance. Appearance wise the Gamo Raptor Whisper Air Rifle is marvelous. It has a blue metal covering through a huge surface of the gun, while the barrel and stock are made of plastic. If you do not want your scope moving around while shooting, you should consider buying a mount for your scope as it will greatly improve your shooting accuracy. In order for the rifle to stay in top condition for a long time, it needs to be stored in a conducive place to prevent wear and tear. Having a gun case is a perfect solution. There are a lot of top range rifles in the market, but this brand stands out. Retailing at a price of $118.99- 199.48 dollars, what you get is a superior and spectacular performance from this rifle. This truly worth for that amount of money. This rifle will consistently shoot at high velocity with high accuracy. Even in long distances so that you don’t miss your target and helps minimizing your pellet wastage. Due to its lightweight nature of both the bundled scope and the gun making it easy to shoot. Another key advantage is its manual safety is located in the trigger guard providing safety while handling the gun. In order to get rid of pests in your compound, you need a rifle that produces the lowest sound possible. This rifle has a silencer with integrating noise dampening abilities for an easier kill. The rifle is constructed with metal parts of the highest quality with a solid compact design. It is also suitable for all kinds of weather making it durable. You can use it for a very long time. This rifle can be used in all types of weather giving you comfort and assurance whenever you are out in the wild game hunting. With this rifle, hunting is easier as you will be able to fire accurate shots regardless of the distance without tipping of the kill due to noise minimizing capabilities. It will also improve your shooting skill and turning you into a pro in no time thanks to its amazing features and components that shoots with a high degree of accuracy. Before loading always check the barrel to ensure there is no obstruction. You should always clean and lubricate the metal parts to prevents corrosion and rusting. Also, never use cleaning pellets as they may cause permanent damage to the rifle. When storing, always ensure there are no pellets in the chamber and always remember never to store the rifle in a cocked position. Because it may weaken the spring and it is also risky to both you and those around you. After firing a thousand rounds, it’s advisable to apply lubricant inside the compression chamber and please take not that you are only allowed to use oils specialized for air guns. Other types of oils may damage the seals. After sometime, the screws on the stock may weaken due to recoiling and this will greatly reduce accuracy. It is recommended to check your rifle periodically, in case the screws loosen you have to tighten them back. It’s important to note never try to dissemble without a plan or trying to repair your rifle as it is very risky as the spring under compression may come off causing some serious damage. 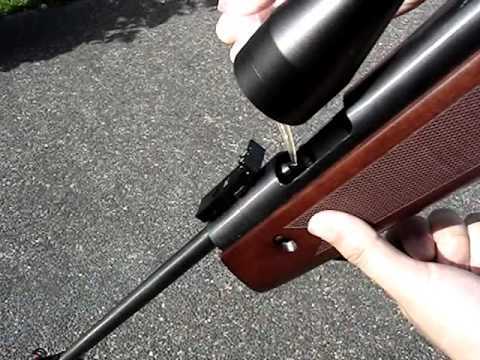 Always consult a specialist who can dismantle and safely repair your Air Rifle. In this Gamo raptor air rifle review, we have highlighted in detail all there is to know of this marvellous rifle. To recap, this rifle has a solid design that is customized to meet all your shooting needs and requirements. All the latest technology is incorporated into this rifle, providing a higher degree of accuracy when shooting while producing almost no sound at all. This is one of the quietest airguns ever in the market. 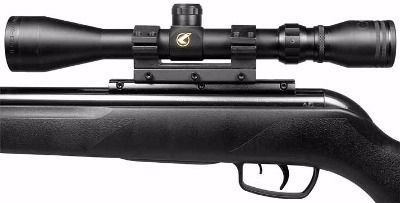 The Gamo Raptor Whisper Air Rifle is considered as a leader in its category due to its power, ergonomic grip handle, and it can pinpoint and hit a target from both close and long range. For a gun of this quality, it is considered cheap and affordable. We rate this rifle 4.5 out of 5 stars.